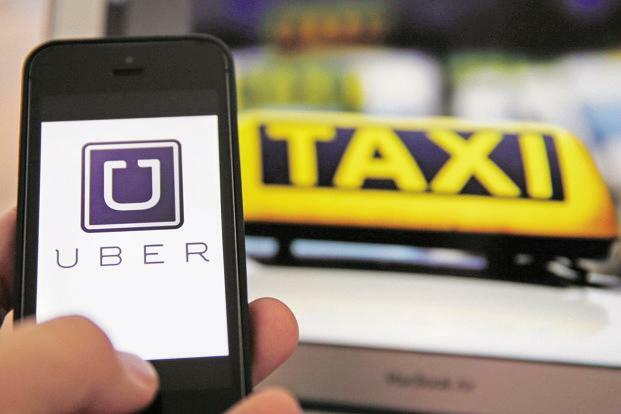 The general consensus is that with Uber selling its China business to rival Didi Chuxing, the Indian market becomes even more important for the ride-hailing service. And right on cue, too. The company has wasted no time in adding two new booking features, aimed solely at increasing the convenience aspect. The first is called ‘Dial an Uber’. This is web-booking platform, and is pretty straightforward to use. Simply open the web browser on your smartphone and head to dial.uber.com. Here, you can login using your phone number, select the destination, get the fare estimate and book the ride. You do not need to have the app installed on your phone. The key element here perhaps is the ability to pay in cash, once the ride is completed. In essence, this could be a rather useful option for first time Uber users, and for those who may be using a basic smartphone with limited storage space for apps. Incidentally, this does indicate a change in strategy for the ride-sharing company. 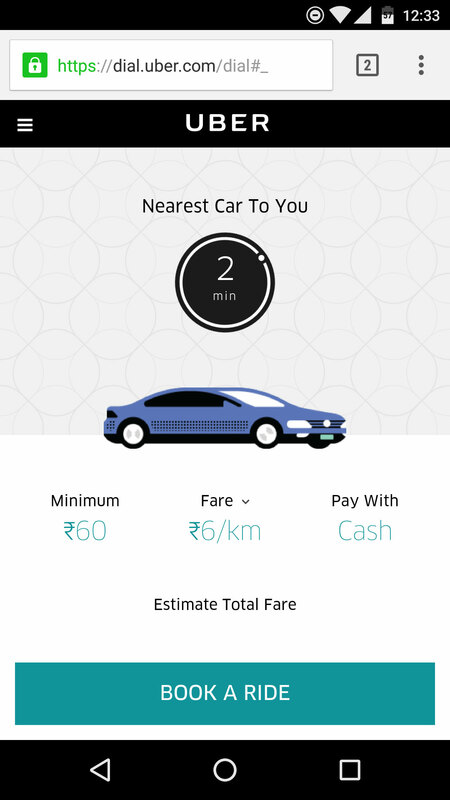 The Dial an Uber service is focusing on the most cost effective UberGO vehicles, and paired with the convenience of cash payment, perhaps indicates that Uber wants to go beyond their core audience—the service has currently rolled out in Nagpur, Kochi, Guwahati, and Jodhpur, with more cities expected to be added soon. The second new feature is the ability to book rides for someone else, as the name “Request a ride for others” suggests. The process remains the same as if you are booking a car for yourself, except that you point the Uber driver to the location of the person you are making the booking for. At the next step in the process, you can share their contact details. 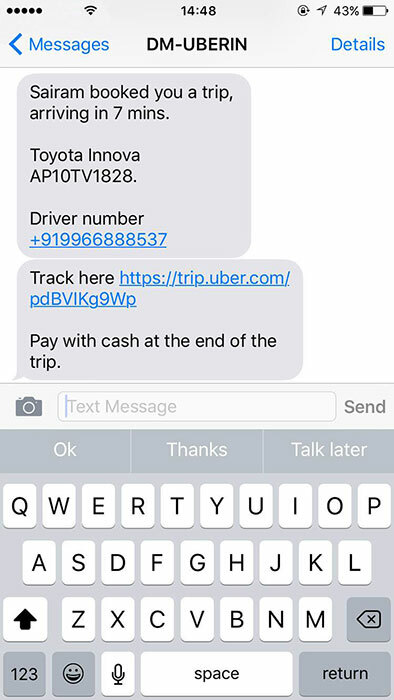 There is the option of making the payment online itself, or letting the person pay in cash once the ride is over. Once booked, the passenger you have booked it for, will receive a text message with the trip details, and a web address which they can tap to open in the phone’s web browser and track the location of the car assigned for them. Incidentally, this is a more personalized spin-off from the UberCENTRAL service that the ride-sharing firm has in the US and Canada, which allows business establishments such as hotels, car dealerships etc. to book rides for their customers.